J.J. Murphy was my first guest post this year when the book Murder Your Darlings debuted. He took us back in time to the Algonquin Round Table with Dorothy Parker and her friend Robert Benchley. On Tuesday the second book in the wonderful series, You Might As Well Die was released. I am so happy J.J. is back to tell us all about this wonderful story! Thank you Lori for having me here today. In other words, as difficult as life is, death is even worse. I wonder, then, why we’re so fascinated with murder mysteries? Is it to feel as though there is at least some order in a chaotic universe? Or is it, as snarky Mrs. Parker might have seen it, a way to thumb our nose at death? Of course, there’s nothing funny about death… Or is there? What do you think? Can you crack a joke or a smile at the worst of times? J.J. Murphy is an award-winning health care writer in Pennsylvania, and has been a long-time fan of Dorothy Parker and the Algonquin Round Table. J.J. started writing after the birth of twin daughters as an escape from toddler television. Thank you so much J.J. for being here today. I guess I am one of those like Dorothy that tries to get through the bad times with humor. How about you my followers? Leave a comment below for J.J. and tell him you handle things at the worst of times. 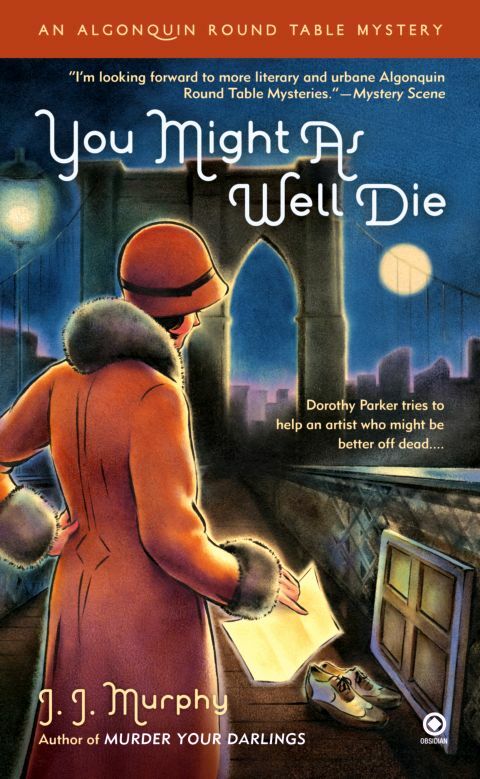 Second rate illustrator, Ernie MacGuffin, slips dear Dorothy a note that she later finds out is a suicide note. Seems he threw himself off the Brooklyn Bridge at midnight and Dorothy found the note too late to save him. Soon after his works of art have tripled in value and no one really seems sad that the man is even dead. Dorothy believes there is more to the story and enlists the help of Harry Houdini, magician and skeptic. They attend a séance where the dead artist is expected to be contacted from the great beyond. The haunting voice sounds just a little to real to Dorothy which leads her to believe something illegal is definitely afoot. With the help of her friends she is going to solve this mystery and maybe another one too. I love everything about this story, the setting, the characters, the mysteries. Traveling back in time with real people, to real places, with fictional drama is so much fun. 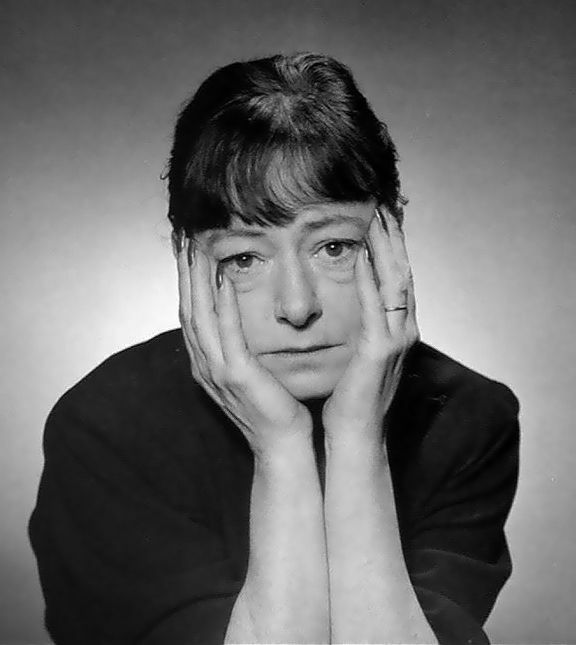 Dorothy Parker was quite a woman. She led quite a life. She was a book reviewer herself. I don’t think J.J. Murphy would “displease” her at all, but she would probably wonder why anyone would write stories featuring the people at “The Round Table”. I am sure my reviews wouldn’t pass muster with her though because with her great wit she was a master. I am glad J.J. Murphy has chosen to write these captivating mysteries with these feisty characters. There is definitely plenty of material in their histories to make me hope there will be many, many more installments to this series. Be sure to vote for the next special guest that will appear in Book 4 of the series. Arthur Conan Doyle will be the special guest in the third book in the series, A FRIENDLY GAME OF MURDER (2012). I am a big Sherlock Holmes fan so that one is definitely on my “Can’t Wait To Read” list. If you have an e-reader there is also a short story available now featuring Dorothy, Hair of the Dog. I just ordered it myself. I highly recommend You Might As Well Die! so be sure to fill out the form below to enter. I have been hearing a lot about Dorothy Parket recently and I find her a most interesting character. A woman who was way ahead of her time. Dorothy Parker is interesting but sharp tongued enough to end up a victim. Hope she’s watching her back. I have been dying to read this. (no pun intended) Thank you for the giveaway! Thanks so much for the giveaway chance! Looks like a great book! I have not had the pleasure of reading any of these books but they sure are on my wish list. I have the first book in hardcover from the Mystery Guild. They have the second one as well. Haven’t read the first one yet. This looks like it should be a fun mystery, especially with the appearance of Harry Houdini. TThanks for the giveaway. When I first starting reading book I didnt read mysteries but now Im kind of addicted to them. I’m looking forward to reading J. J. Murphy books! This looks like a must read for me. To relieve stress I usually turn to chocolate and then the guilt sets in and I spend so much time reflecting on how I should have just eaten one chocolate rather than the whole box, the stressful situation is usually forgotten. I love that this book has Dorothy Parker and Harry Houdini in it. We are so familiar with them that it will be fun to imagine them in this book. This sounds like a really good story! I’d love to read it! Thank you for the giveaway! I love mysteries set in the past. So much fun to see historical figures names pop up and figure into the stories. Look forward to check this series out. Thanks for the giveaway!